Are Atlanta Workers' Comp Death Benefits Available After an Employee is Worked to Death? 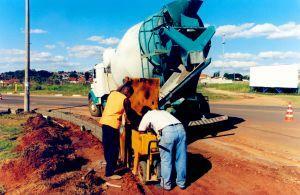 Death benefits are available whenever an on-the-job injury or job-related illness causes fatalities. Widows, dependent children and certain other dependents may be eligible to receive death benefits as long as they can prove that job duties were the direct cause of the death. In one recent case, a court looked at whether a heart attack could be considered a work-related death after the widow of a worker alleged her husband had been "worked to death. In complex cases where it is unclear if the job was the direct cause of a fatality, it is very important for surviving family members to have a skilled and experienced workers' compensation lawyer providing advice and assistance. Your attorney can help you to make a compelling argument for why benefits are appropriate. Van Sant Law, LLC has provided legal representation to clients in straightforward workplace death cases as well as in more complicated situations where employers have denied a death was due to work. Call our Atlanta workers' compensation lawyers today to learn more about how we can provide you with help after someone you love dies. Can Being Worked to Death Lead to Atlanta Workers' Compensation Benefits? Safety News Alert reported on the recent case in which a widow claimed she should receive workers' compensation benefits when her husband sustained a heart attack after working more than 14 hours. The widow's deceased husband was a maintenance man whose normal work tasks included heavy labor. He was on call all the time, routinely worked more than 40 hours per week, and did tasks like jackhammering roads, repairing brakes in water mains, and cutting tree roots. His death occurred in November when he began work at 7:00 AM. At 9:35 PM, he called his wife to tell her that he and some crew members were still doing their job tasks. He told her he had been doing roadwork and jackhammering the road for many hours. By 10:45, he had sustained a heart attack. One of his coworkers came to get his wife, who was told he had collapsed on the job. He unfortunately passed away, leaving his widow to file for workers' compensation death benefits. His employer denied the claim, and his widow appealed. When his case was heard by a workers' compensation administrative law judge, the widow presented testimony from a doctor indicating that his fatal heart attack was caused by long hours of physical labor. Despite the fact the employer presented conflicting testimony suggesting the maintenance man had hardened arteries, smoked a pack of cigarettes a day, and had high blood pressure, the workers' comp judge gave more credence to the testimony of the doctor testifying for the widow. Death benefits were awarded. An employer appealed and the state workers' comp board reversed the decision, but the widow appealed to the state court and won. While the case occurred in PA and an Atlanta state court may rule differently, it still sets up a precedent suggesting that there are times when employee fatigue and overwork could be grounds for a workers' comp claim. Those who lose loved ones due to a workplace heart attack should consider pursuing their own workers' comp death benefits claim. The Atlanta workers' compensation lawyers at Van Sant Law, LLC can represent you after a death on-the-job. Call today at 404-991-5950 or contact us online to schedule your free consultation.